IO Data Science (IO for Input/Output) is a homogenised access to metadata descriptions of datasets via a single point of access. The scientists can declare their datasets as open data or for restricted usage within the university. The machines of scientists can use the SPARQL service to read the metadata of available datasets. The service IO Data Science will serve to link, discover and reuse the datasets between the producers and the consumers of data for creating new synergies between the laboratories. Datasets can be declared, qualified, documented and linked, with configurable access rights. 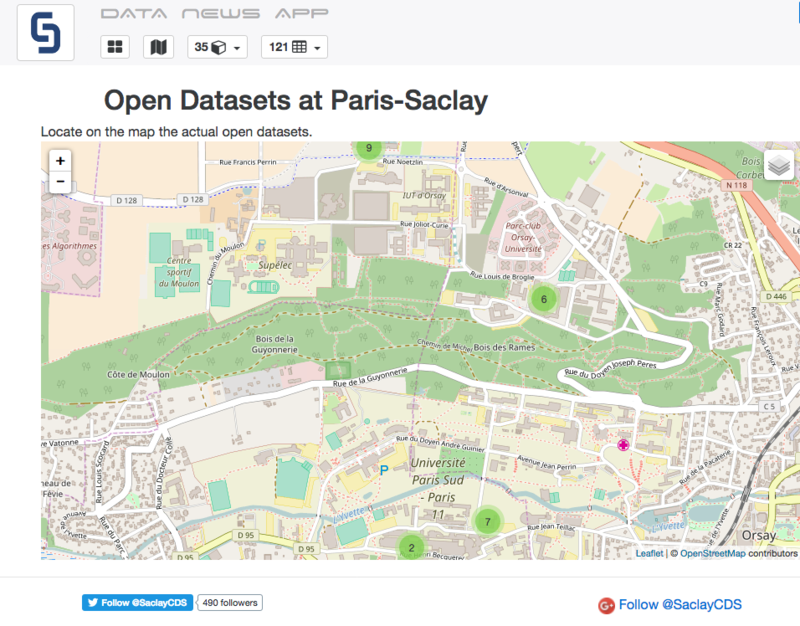 Currently, some 35 public datasets and 17 restricted to Paris-Saclay are available. 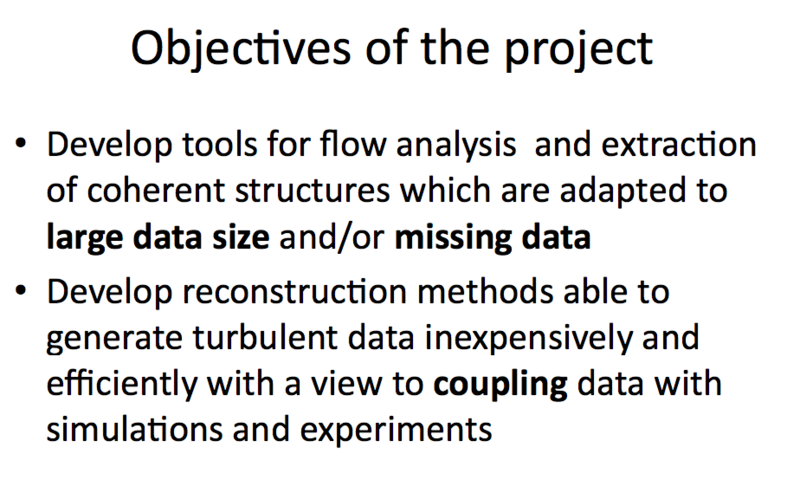 The long-term aim of the project A Platform for Decoding and Recoding Turbulence is to develop an interdisciplinary platform for the analysis and reconstruction of turbulent flows bridging the gap from academic configurations to real-life situations. The goal of the project is not only to improve our understanding of the fundamental physics of turbulence using statistical methods, but also to provide turbulence models for applications of interest to other scientific communities on issues related to high dimensional, wide-spectrum, turbulence data. The investigation team consists of B. Podvin, L. Mathelin and C. Tenaud, researchers at the Department of Mechanics at LIMSI with an expertise in turbulence and in statistical methods.